How can you establish a relationship with website visitors? Your website is your way of providing a digital first impression. 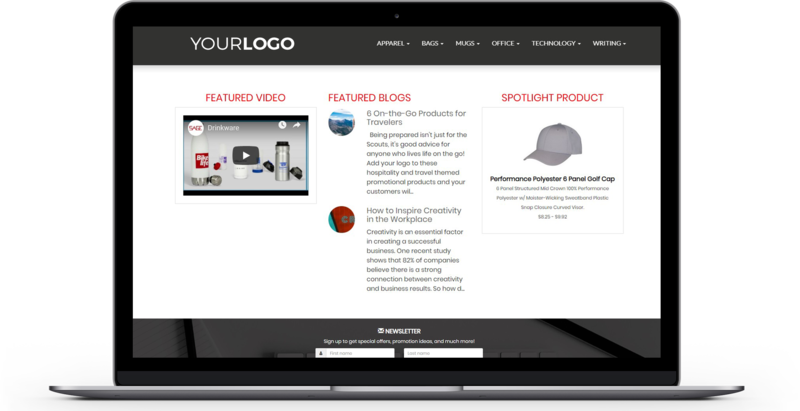 In the promotional products industry, distributors offer the same products. Your audience needs to connect with you as their expert, and your company has to differentiate itself from all the other competition online. Establish language around your site that you are available to provide a consultation. Don’t hide behind the products! Content marketing offers you a way to do just that. Being the least expensive option doesn’t guarantee you more sales. By offering a better user experience with content, you make yourself more accessible, personable and create customer loyalty. 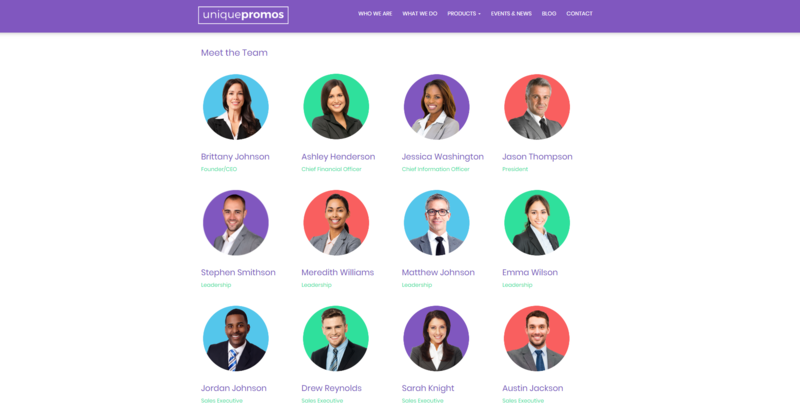 Another way you can differentiate yourself and engage with your prospects is to create a Meet the Team or About Us page that shows your faces. You’ll convert more prospects than the competitor that has a vague “About Us” page that doesn’t give you any clue who they actually are. You can take this a step further with listing your email addresses and bios. Big businesses may have more money to spare, but ultimately lack the consultative element our industry thrives on. One of the biggest advantages to working with a distributorship over Amazon or Vistaprint is the white-glove service your clients receive since you’re more accessible than any one person at a massive conglomerate. You are the consultant and the expert, so don’t forget to introduce yourself and your team. If you want users to visit and buy from your site – where you can control the post-sale user experience, unlike on Amazon – you need a conversion-driven design that makes your visitors feel like they are part of a community and can trust you. How can you accomplish that? Start with small asks! Offer them something. Don’t ask them to buy your biggest revenue maker right off the bat. Ask them to download a free infographic or guide, ask them if they want a coupon, ask them if they want a proposal, grab their email, and then build your list. You’ll be offering them samples once you start working together anyway, why not offer it at the time when it matters the most? Capturing the business. What’s another way to build your relationship with prospects online? Give them curated ideas to shop from. Your customers are having the same experience on B2C sites, so why shouldn’t they be able to experience the same easy, inspired buying process on your site? Styled with ready-to-purchase items, Target has mastered inspiring their buyers with curated ideas so they can do less of the work. With the rise of subscription services like Blue Apron, Trunk Club, and Bark Box, consumers are relying on the experts to do the work for them. You can easily adopt this trend on your SAGE Website Professional Plus with curated product carousels that are ready to place on your website. 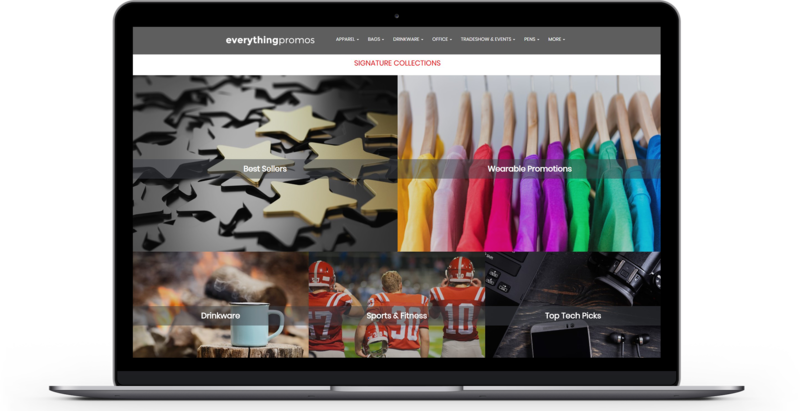 You can also add SAGE Signature Collections to your homepage for a more editorial look, and inspire your prospects with themed, product collections filled with trendy and curated ideas.